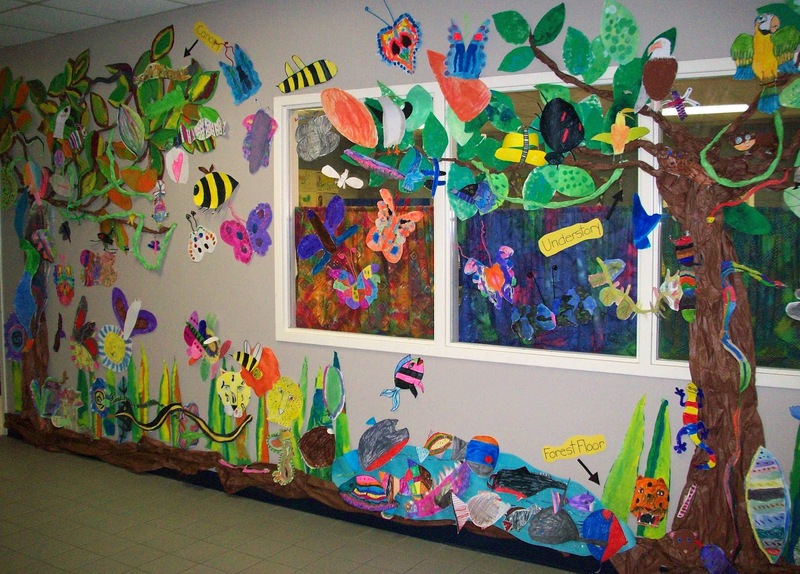 This rain forest mural can be done with all grade levels, with each one making a certain group, ex. 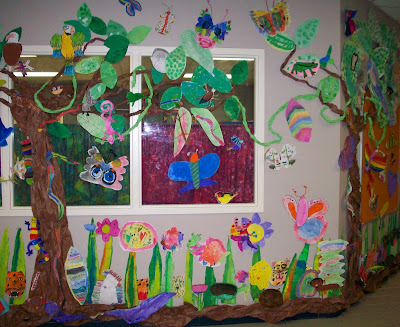 Kinder can make trees and tree branches, 1st gr. 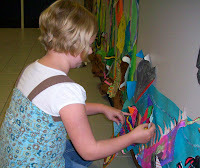 can make leaves and flowers, 2nd gr. can make butterflies and insects, 3rd can make reptiles and amphibians, 4th,5th can make any other rain forest animal. 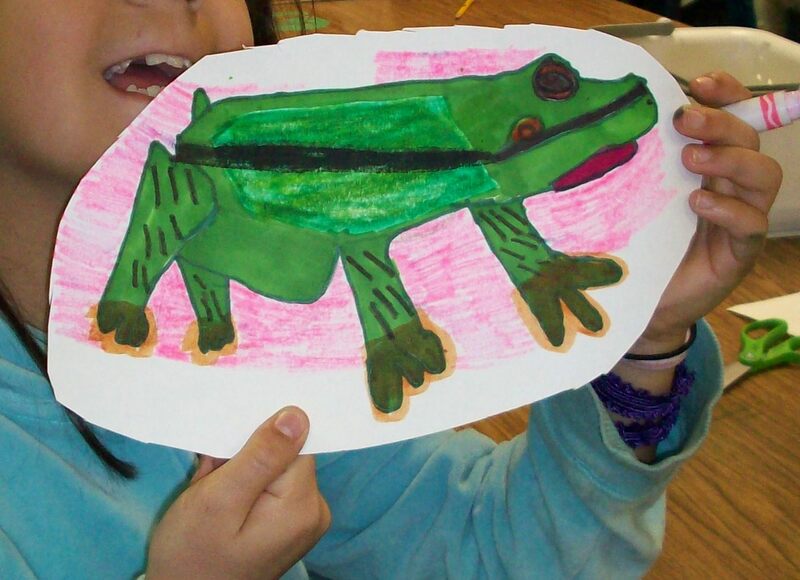 You can provide a list of animals that come from the rain forest, and they can choose. ( Of course, snakes are very popular, so you may need to steer some students towards another really cool animal) Students can use paint, markers and pastels. We discussed the levels of the rain forest and the animals that live in each level. They can place their animal or plant where it should go.